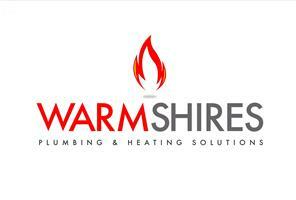 Warmshires Ltd - Central Heating Engineer, Plumber based in Worksop, Nottinghamshire. Here at Warmshires we put are customers first, whether it be advice, quotes or call outs. We are proud to say we meet all are appointments and do the best we can to attend all emergencies. We cover Natural Gas, LPG and Oil, holding all the relevant qualifications including Gas Safe,Oftec registerd. We are Worcester accredited installers which means we can offer you an extended Guarantee. We install, service and repair central heating, boilers, fires, cookers and all your household plumbing. Whatever your budget we source the right product's for your individual needs and we also cater for annual landlord's certificates. We also have a Bathroom design and installations team that can help you refresh or re design your bathroom. If its a quote you are after why not visit our website to get a free estimate then give us a call. We offer numerous payment methods and are now offering finance. Call us now, we won't let you down!